needed support to the PCOS community. Watch the TV Show Preview Now! As part of our continuing mission to provide women with PCOS the best information and support resources for overcoming Polycystic Ovarian Syndrome, PCOS Challenge has teamed up with five renowned PCOS health and wellness experts to bring you the PCOS Challenge® educational workshop series. 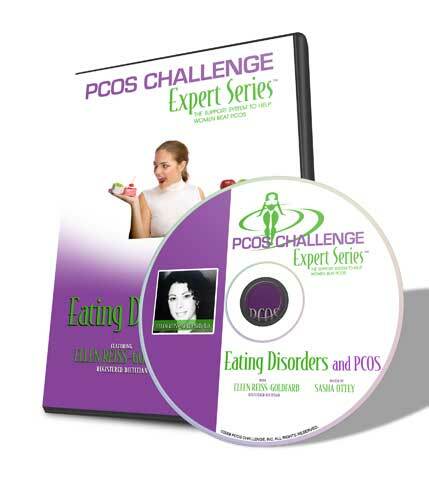 FREE when you purchase all five PCOS Challenge Expert Series Workshops below. 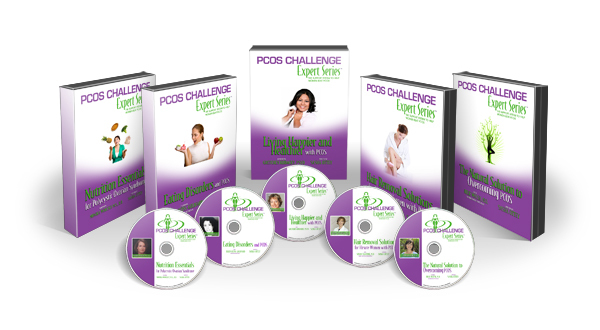 Order All Five PCOS Workshop CDs for Only $79.95! Receive a 20% Discount, Regular Price $99.75. PCOS Challenge is a 501(c)(3) nonprofit organization. Your purchase goes to support programs for women with PCOS. PCOS Challenge, Inc. does not recommend or endorse any specific tests, physicians, products, procedures, opinions, or other information from third parties that may be mentioned on the PCOS Challenge websites. Any third party products and websites, including those offered by affiliates, sponsors and advertisers, which may be accessed through the PCOS Challenge websites are the sole responsibility of the third party who is offering the product or posting the website. 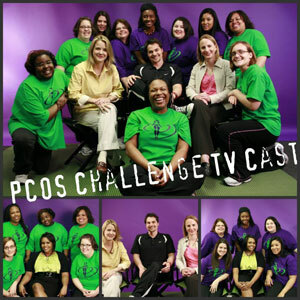 PCOS Challenge, Inc. makes no warranty as to the accuracy of any information on third party websites and accepts no liability for any claims, errors, and omissions or for any damage or injury to persons or property arising out of the use or operation of any products, materials, instructions, methods or ideas provided by third parties. Any offers, pricing, and/or promotions offered through the PCOS Challenge websites, affiliates, or any third party are subject change without notice at the sole discretion of the party making the offer. Read Full Disclaimer. Are you struggling to figure out how many calories you need, or what a low glycemic diet is? Are you confused about soy or if you will have to change the way you eat forever? Registered Dietitian Monika Woolsey will share the basic nutrition concepts for managing PCOS--the weight gain, the depression, the insulin resistance...even the cravings. You will have more foods you can eat than ones you will need to restrict! How to reduce cravings and binge eating. What kind of diet is best to follow to lose weight. What nutrition supplements may help--and hurt--your overall PCOS condition. How to eat for more restful sleep. How to translate all of your fabulous nutrition information into what to make for dinner! Listen to gain a better understanding of the best nutrition concepts for managing PCOS and to be more confident that you are making correct food choices. Order the Workshop CD Now for Only $19.95! Purchase for All Five Workshops and Receive a 20% Discount. PCOS and Eating Disorders can be inter-connected. Registered Dietitian Ellen Reiss-Goldfarb will help you to recognize the connection and heal both issues. You will realize that there are both physiological and emotional reasons for eating disorders in women with PCOS. Ellen will also help you to figure out how to make peace with food and your body, and how to recognize the foods that will make you feel better. Which came first, PCOS or the Eating Disorder. Why many women with PCOS develop Eating Disorders. How Binge Eating and Bulimia worsen PCOS symptoms. How nutrition, lifestyle changes and stress management play a role in controlling cortisol and insulin. What you can do to improve your PCOS symptoms. Sign up now to learn great ways to improve your body image, make peace with your food, and live more freely, happily, and healthy. Order the Workshop Now for Only $19.95! Depression, anxiety, suicidal thoughts, infertility, and many other disorders are much more common in women with PCOS. In this PCOS Challenge Expert Series workshop, Dr. Kubacky will address the psychological issues and coping skills necessary for thriving with PCOS. Dr. Kubacky will also explain how to identify the most common conditions, suggest ways to find sources for help and support, and describe how to proactively manage your mental and physical health and relationships. What a mood disorder is and what it looks like. Signs that you might be feeling suicidal. What every PCOS woman needs to know about infertility. Coping skills for relationships, medical treatments, and body image issues. How to be a proactive patient and get the help you need now. 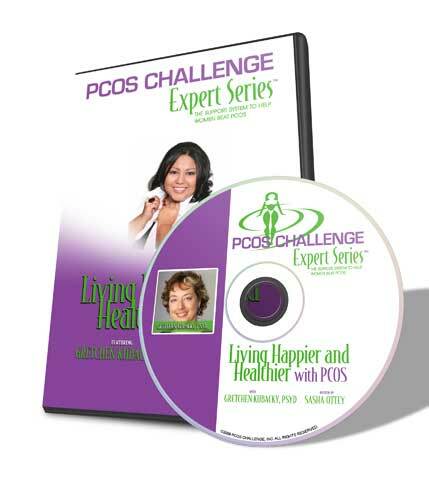 Listen to gain a better understanding of the psychological symptoms associated with Polycystic Ovarian Syndrome, and the coping skills necessary for living happier and healthier with PCOS. Purchase All Five Workshops and Receive a 20% Discount. In this workshop, Dr. Van Dyke will discuss the medical and cosmetic treatments for the unwanted hair of hirsutism and review the current approach to treating the underlying cause of the unwanted hair growth. Dr. Van Dyke will also focus on cosmetic treatments to remove the hair and give suggestions on how to maintain your results. 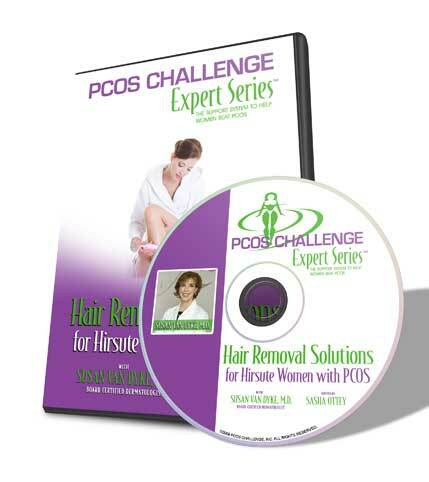 The cause of unwanted hair in women with PCOS. Various medications that are used to inhibit this growth. How hair grows and why different areas of the body respond differently. The rationale behind various cosmetic hair removal treatments. How to make an ongoing plan to manage your hair your way. Listen to gain a better understanding of medical and cosmetic strategies for ridding yourself of unwanted hair and feeling feminine and confident again. Most doctors will tell you that PCOS is a hormonal issue. And while your hormones are affected, there is much more to PCOS. Dr. Walsh will teach you the truth behind what causes PCOS and more importantly, what you can do to correct the underlying causes, easily and permanently, without the use of harsh medications. The truth about PCOS and why hormones do not fix the underlying cause. 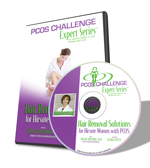 How to unwind the vicious hormone cycles of PCOS. How to interpret your blood work to see what type of blood sugar issue you may have, and what to do about it. What types of supplements you need and why. Five steps all women with PCOS must take if they want to live healthier and feel better. Listen to gain a better understanding of what's going on with your body, and how to bring yourself back to balance naturally.